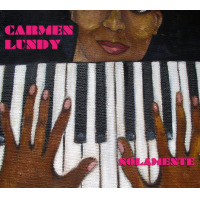 Carmen Lundy began her professional career in Miami, FL as a jazz vocalist and composer when there were very few young, gifted and aspiring jazz vocalists on the horizon. Over four decades later, Ms. Lundy is celebrated throughout the world for her vocal artistry and is highly regarded for her jazz innovation. Currently on the Afrasia Productions label, Carmen has just completed work on her 15th album Code Noir, due in February 2017. Written entirely by Lundy, the album traverses musical genres and is a song cycle for these turbulent times. Her previous album “Soul To Soul” was released in 2014 to huge critical and popular acclaim. Almost two years in the making, “Soul To Soul” consists of new original songs by Lundy and a few special collaborations, among them Patrice Rushen, Geri Allen, Randy Brecker and Simphiwe Dana, a stunning South African vocalist and composer. “Soul To Soul” is on several major Top Ten Albums lists, including Downbeat and JazzTimes, as are the highly regarded releases “Changes”, “Jazz and the New Songbook-Live at The Madrid”, and “Come Home”. “Good Morning Kiss”, Ms. Lundy’s debut album, held a #3 spot on Billboard’s Jazz Chart for 23 weeks. Terri Lyne Carrington’s Mosaic Project - Grammy Winner for Best Jazz Vocal Album of 2011 - features the Carmen Lundy composition “Show Me A Sign”, with Ms. Lundy’s original performance from the album “Solamente” reinvented on the arrangement. In April 2016, Carmen Lundy was honored with the 2016 Lifetime Achievement in Jazz Award by Black Women In Jazz and The Arts, based in Atlanta, GA. Among her other awards and recognitions, especially rewarding was Miami-Dade's County Office of the Mayor and Board of County Commissioners proclaiming January 25th Carmen Lundy Day”, along with handing Ms. Lundy the keys to the City of Miami. Having recorded fifteen albums as a leader, Carmen’s far-reaching discography also includes performances and recordings with such musicians as brother and bassist Curtis Lundy, Ray Barretto, Kenny Barron, Bruce Hornsby, Mulgrew Miller, Terri Lyne Carrington, Kip Hanrahan, Courtney Pine, Roy Hargrove, Jimmy Cobb, Ron Carter, Marian McPartland, Regina Carter, Steve Turre, Geri Allen, Robert Glasper, Jamison Ross, Kenny Davis, Darryl Hall, Patrice Rushen and the late Kenny Kirkland. As a composer, Ms. Lundy’s catalogue numbers over 100 published songs, one of the few jazz vocalists in history to accomplish such a distinction, and has led to the first publication of the Carmen Lundy Songbook (2007). Her songs have been recorded by such artists as Kenny Barron (Quiet Times), Ernie Watts (At The End Of My Rope), and Straight Ahead (Never Gonna Let You Go). 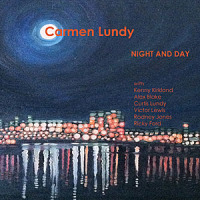 Officially endorsed by Neumann microphones, Carmen Lundy continues to compose and expand her vast catalogue. Her discography consists of “Good Morning Kiss” (CLR/Afrasia Productions), “Moment To Moment” (Arabesque/Afrasia Productions), “Night And Day” (CBS/SONY and re- issued by Afrasia in 2011), “Old Devil Moon” (JVC), “Self Portrait” (JVC), “Something To Believe In” and “This Is Carmen Lundy” (both for Justin Time), “Jazz and The New Songbook – Live at The Madrid” (2-disc set and DVD, Afrasia Productions), “Come Home”, “Solamente”, “Changes” and “Soul To Soul” (Afrasia Productions). A native of Miami, Florida, Carmen Lundy's path to being one of today's most talented, respected and sophisticated jazz singers began at age six, with her first piano lessons. She was deeply inspired by her mother who was then lead singer in the gospel group, The Apostolic Singers. Ms. Lundy attended The University of Miami as an Opera major, but soon discovered that jazz was where her talent really shone. While working steadily in the Miami Jazz scene, she graduated with a degree in Studio Music and Jazz - one of the first singers to do so. Lundy then moved to New York City in the spring of '78 and immediately began working in jazz circles throughout the Tri-State area, and from Harlem to Greenwich Village, quickly impressing the notoriously critical jazz cognoscenti and audiences alike. Esteemed critic Gary Giddins stated (in 1983), Jazz singing stopped regenerating itself about 20 years ago, and it's not hard to see why, so it's with some trepidation that I call your attention to an authentic young jazz singer named Carmen Lundy - she's got it all. Armed with a devoted following and critical kudos, the uncompromising Ms. Lundy continued to make waves, not just in North America, but in Asia and throughout the UK and Europe. 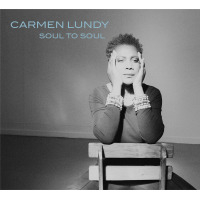 Enter the "Carmen Lundy - Soul to Soul" Giveaway! 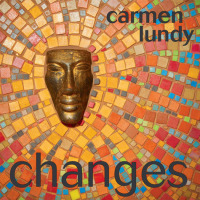 Enter the "Carmen Lundy - Changes" CD Giveaway at All About Jazz! Carmen Lundy Returns With All-new Nine Song Collection, "Changes"
Carmen Lundy Nominated For Best Jazz Vocalist By Jazzweek Readers! All About Jazz musician pages are maintained by musicians, publicists and trusted members like you. Interested? 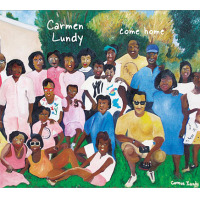 Tell us why you would like to improve the Carmen Lundy musician page.